The Cayman Islands were sighted by Christopher Columbus on May 10, 1503, during his last voyage to the West Indies. At first the Spaniards named the islands Las Tortugas because of the many turtles in the surrounding waters, but by 1530 they were known as the Caimanas or Caymanes for the alligators (caimánes) reported to be native there. After the Treaty of Madrid (1670)—which ceded Jamaica and a number of other Caribbean islands, including the Caymans, to Great Britain—the first permanent settlement was established on Grand Cayman. Most of the inhabitants were British mariners, privateers, shipwrecked passengers, and African slaves, as well as land-grant holders from Jamaica. The remoteness of the islands, and integration following the emancipation of slaves in 1835, resulted in a socially homogeneous society. The islands have a rich seafaring history, and tales of buccaneering feats have reached near mythical status. 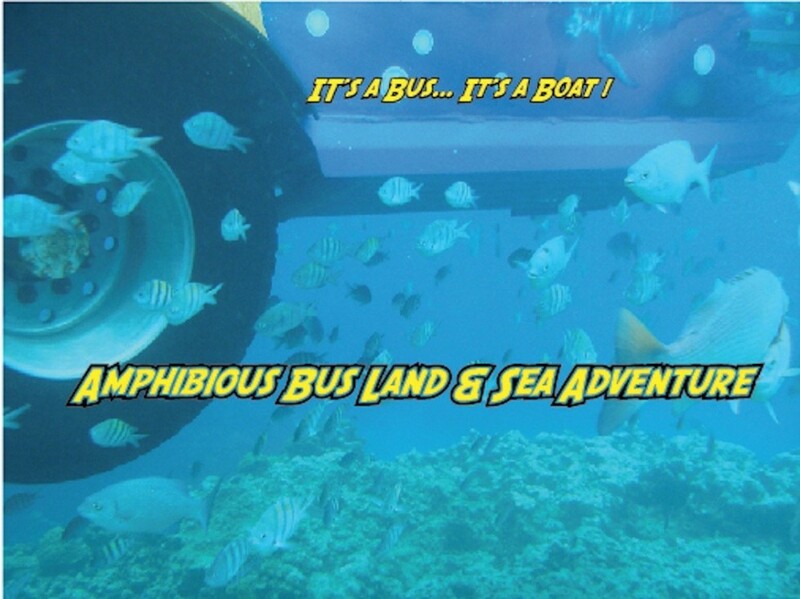 The Cayman Islands has a seafaring history going back to the first settlers of which its people are justly proud. Many know the story of Cayman’s first inhabitants and the seafaring way of life which has historically been associated with the people of the Cayman Islands and continues on for generation to generation. 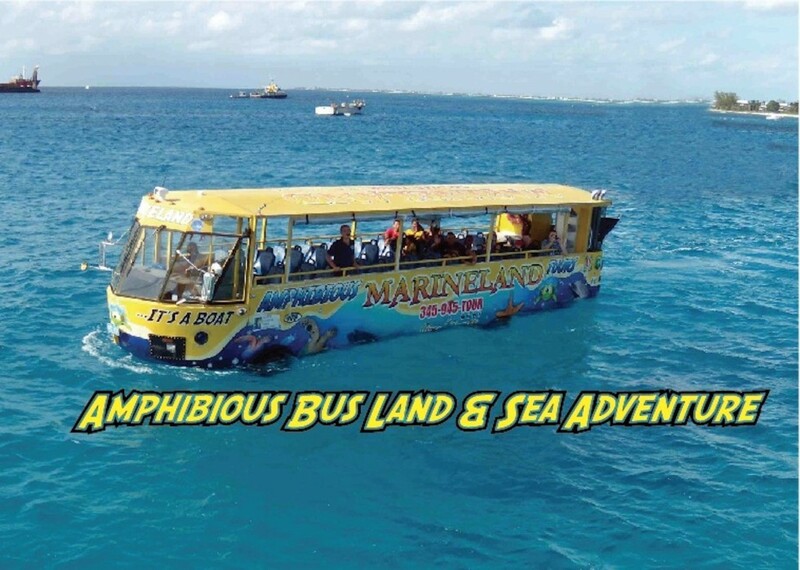 Many people may not realize that this legacy continues today with the Eldemire family, owners and operators of Marineland Tours and 11th generation Caymanians continuing the Seafaring tradition with Cayman’s only state of the art water sports tour vessels with legendary tours throughout the island. 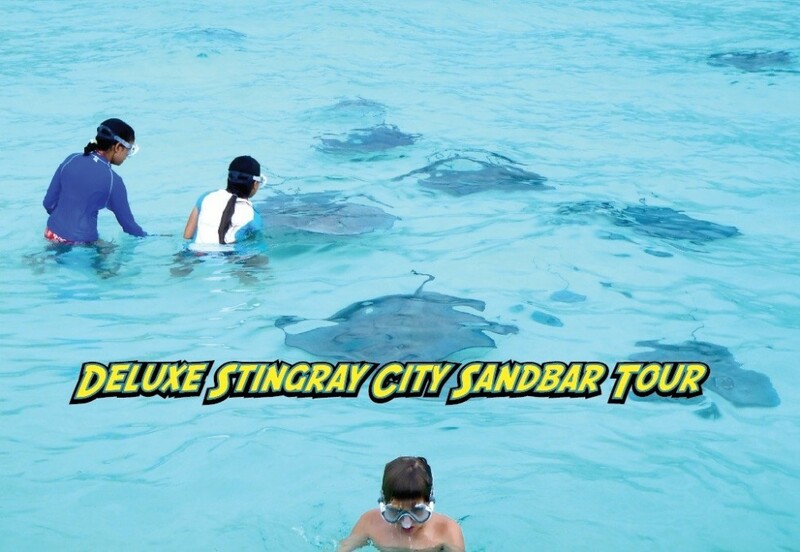 Our family has been involved in the Tourism industry in the Cayman Islands for over 50 years and our knowledge of the Island and its surroundings is unsurpassed. 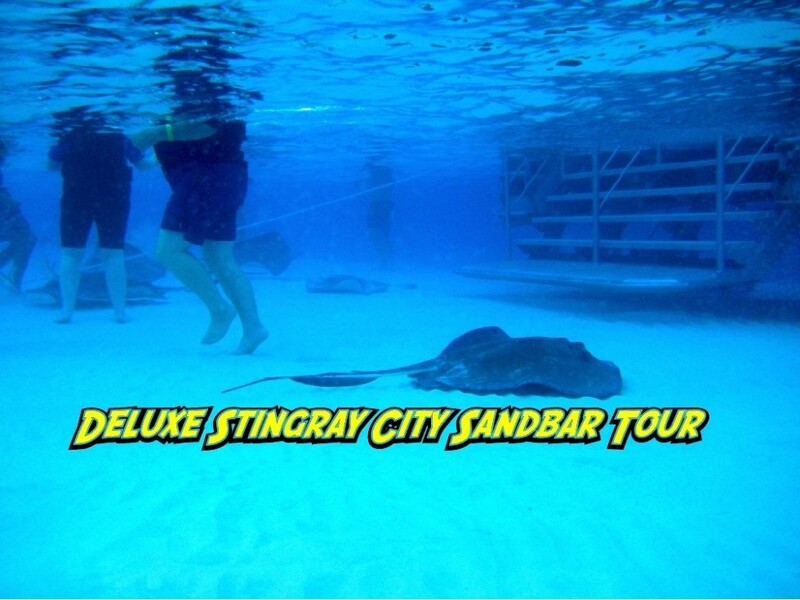 We were searching for unique one-of-a-kind tours to provide a first class service to our visitors and locals alike and are very proud of the tour products and service we provide. 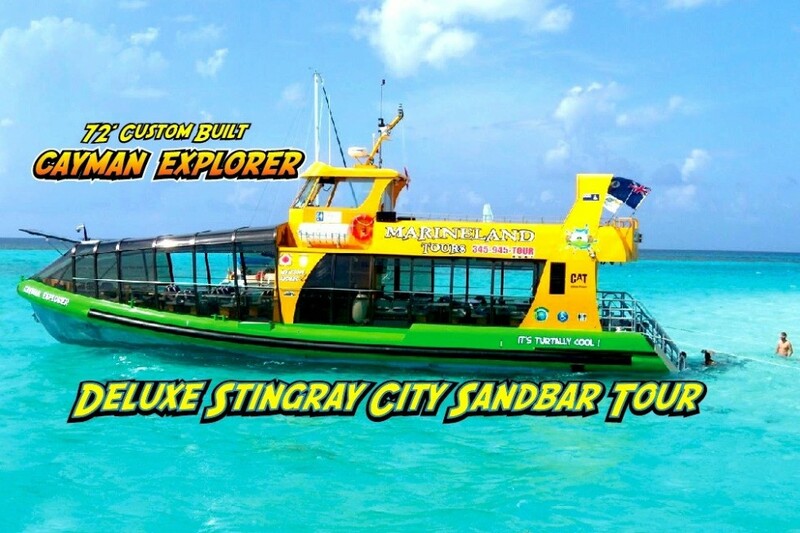 Our goal is to exceed the highest levels in service and customer satisfaction for our passengers and to continue to produce state of the art and unique inventions for our water amusement products to bring the Cayman experience to unsurpassed levels through our exceptional high caliber tours. 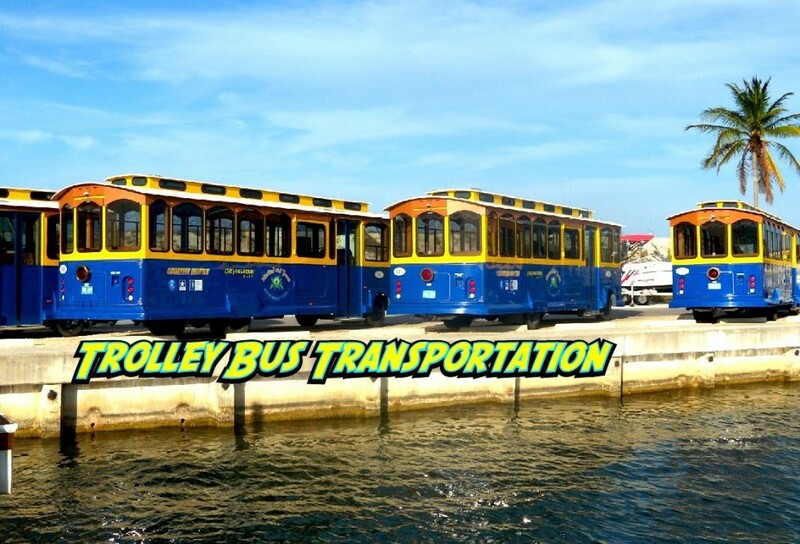 We exclusively use World Class State-of-the-art Vessels with employees who are very highly trained, pleasant, respectful and licensed professionals. Our vessels are available for charter for special occasions such as weddings, meetings, groups and parties. 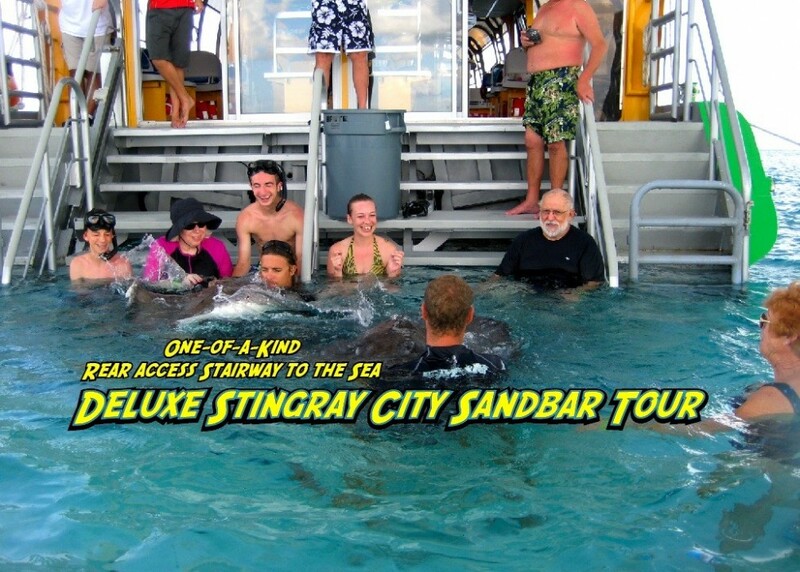 Events become extra special aboard Marineland Tours! We can custom design your charter to maximize your experience. 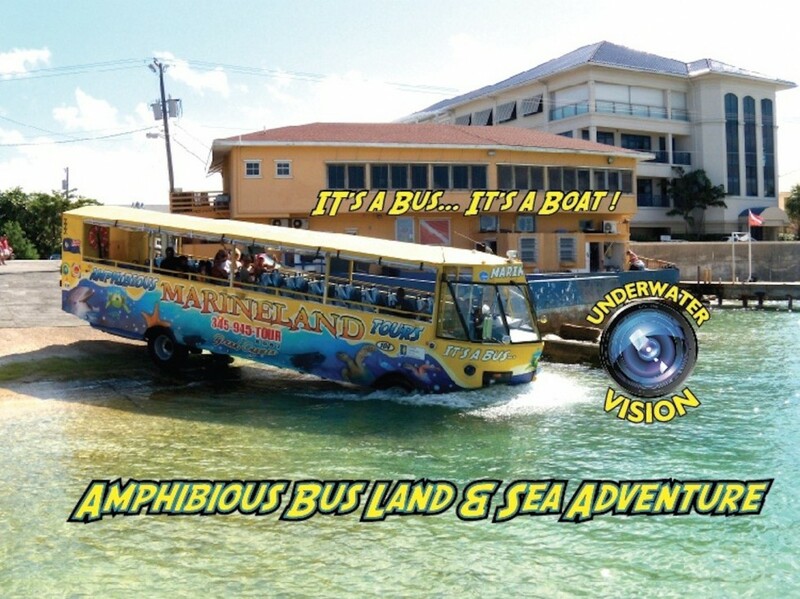 Marineland Tours and all of our staff are committed to offering you the best time of your life and stand ready and able to be of service to you in true Caribbean style with our commitment of service above self. 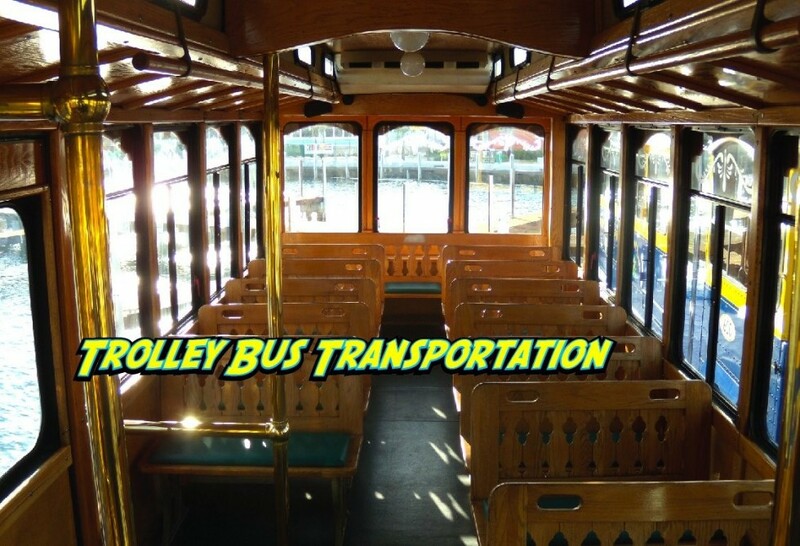 Contact us today to reserve your seat for a fun time for all ages.